A Greenfield man was sentenced to three years in prison this week for allegedly having sexual contact with a 3-year-old last year. 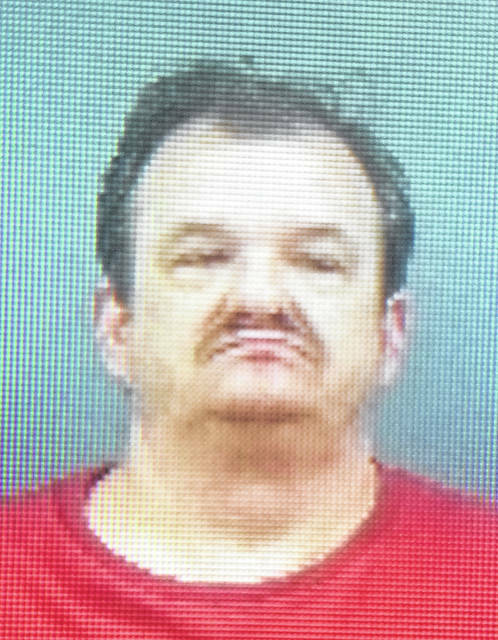 Ronnie Len Hughes, 45, received his sentence Thursday in Highland County Common Pleas Court after entering an Alford plea of guilty to gross sexual imposition, a fourth-degree felony. An Alford plea is distinguishable from a regular guilty plea in that it does not admit the criminal act and asserts innocence, but admits that the evidence would likely persuade a judge or jury to find the defendant guilty beyond a reasonable doubt. According to the indictment, Hughes had sexual contact with a 3-year-old child last October. Hughes was indicted and arrested on Tuesday, April 3. As previously reported, Hughes’ attorney, J.D. Wagoner, filed a motion in May requesting Hughes be given a psychiatric evaluation to determine whether or not he was competent to stand trial. The motion was granted, and at a hearing on Thursday, June 21, Judge Rocky Coss found Hughes competent based on the results of the evaluation. In other proceedings, Douglas Hartman, 32, Greenfield, and Christopher Karaffa, 34, Lucasville, were each sentenced to one year in prison after pleading guilty Thursday in separate felony cases. Karaffa pled guilty to one count of breaking and entering and theft, both fifth-degree felonies, after being indicted in May. He was sentenced to six months on each count for a total of one year. Hartman pled guilty to grand theft of a motor vehicle, a fourth-degree felony, after being indicted in November of last year. Following multiple unsuccessful attempts to serve him with his indictment, a warrant was issued for his arrest, according to online court documents. He was arrested in May. David B. Willett, 50, Greenfield, was sentenced to eight months in prison after pleading guilty to aggravated possession of drugs, a fifth-degree felony. Court records show Willett has an extensive criminal record. During the hearing, Coss said he recalled prosecuting Willett during his time as county prosecuting attorney.